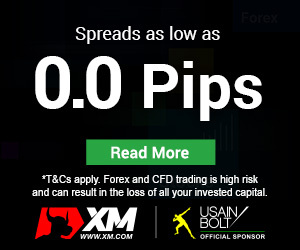 XM.COM collaborates with a number of liquidity providers in order to offer the best spreads available. There are a number of fast payment methods available which ensure fast transfers of funds and same day withdrawals. Like all the best platforms XM.COM is regulated and authorized by the major associations and commissions. The 888:1 leverage offered by XM is unique in the industry. Over 60 currency pairs and over 100 financial instruments can be traded both online and by phone on 8 advanced trading platforms. Besides, there are no upper limits to deposits. The available trading software is as follows: MT4 Terminal; MT4 for Mac; Web Trader; iPhone Trader; iPad Trader; Droid Trader; Mobile Trader. Apart from this, the XM MAM Trader allows multi-account management to fund/asset managers and multiple account holders with an unlimited use of charts and EAs. The safety of client funds is guaranteed by funds being kept in Tier1 segregated Barclays accounts. Account funding is 100% automatic and processed 24/7, while same day withdrawals are guaranteed. Clients can choose from various modern payment options, with a wide geographical coverage: credit cards (VISA, VISA Electron, MasterCard, Switch, Solo) bank wire, Neteller, Moneybookers Skrill, Western Union, MoneyGram, WebMoney, China UnionPay, SOFORT, iDEAL. The recently introduced local bank transfer option enables investors to fund their accounts through their own local banks (in 58 countries worldwide) and in their local currencies. There are no hidden fees or commissions for funds transfers, and all transfer fees are covered by XM. It has been about 6-7 months since I opened an account with XM and I have found nothing wrong with them so far. 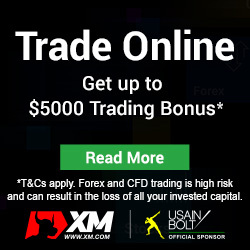 They offered me a trading bonus of 50% when I joined them and still offer bonuses, sometimes 30%, sometimes even 100%. The spreads on the micro account were quite high but I switched to Standard straight away, as there is no restriction on the amount needed to open a Standard account. The spreads on the standard account are low, and trade execution is instant. Besides, XM offer trade calls twice a day on 10 instruments and have weekly webinars on technical analysis for free. Do you have a review for xm.com? I’ve been attracted by their bonuses and thinking of trading real money with them. Please help, are they regulated and a reputable company? at first they will offer good things to make you interested to open an account with them and make a deposit, but after a few days of trading they will tell you that your account has not been verified even though you can see the status of your account in the control panel. They terminated my account after a week without any further notice. So please take note of this incident and be aware of this broker. Awesome broker, no pressure whatsoever, always there to assist me and help me with my queries. Really a great broker.